Base Jump Helmet ABS OD | BUDK.com - Knives & Swords At The Lowest Prices! 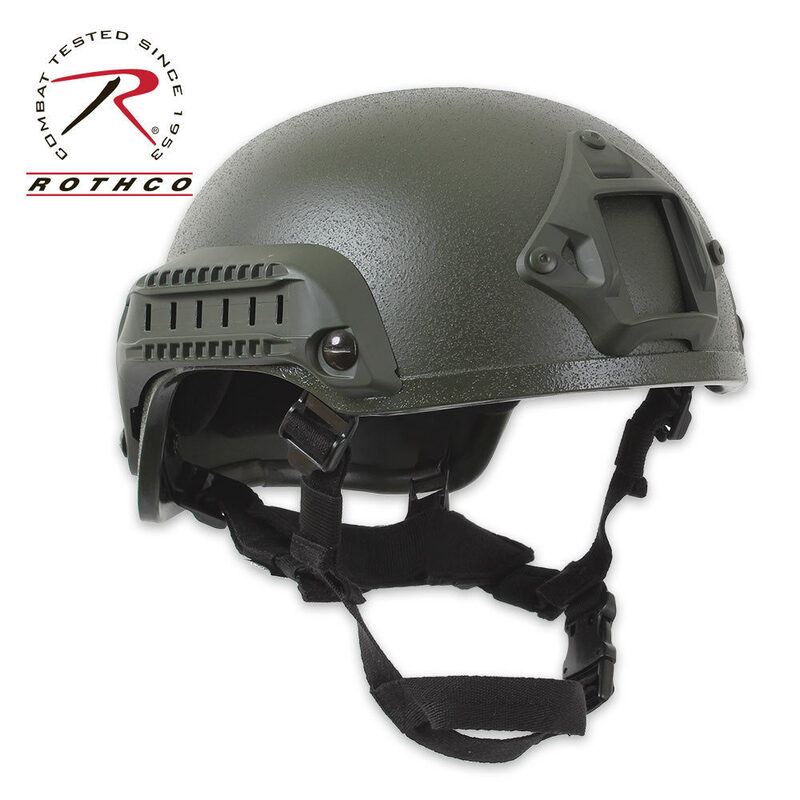 Designed for airsoft and gaming purposes only, this OD green airsoft base jump helmet from Rothco features removable memory foam inner cushioning with hoop and loop attachments and side rails for accessory attachments. The front is built for adapting lights, cameras or night vision. The adjustable chin strap features a quick buckle and ensures a great fit. This airsoft base helmet also includes a seven-piece loop kit with adhesive backing so you can attach patches and illuminators. A must-have accessory for your next game of paintball and airsoft target practice!